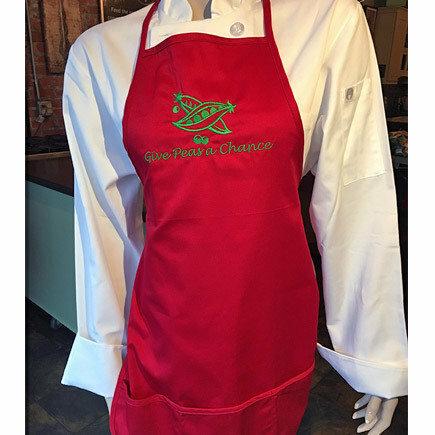 This red apron with pockets is a fun foodie (& world peace) statement for your favorite chef! Also available in purple. Makes the perfect gift! Care: Machine Wash Cold / Delicate with like colors & fibers, Tumble Dry - Low, Warm Iron as Needed.